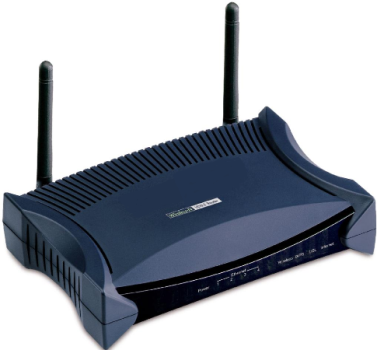 The Data Connect 5204V-NRD is an all-in-one VDSL2/Broadband Router with the latest 802.11n technology. It is designed for home and SOHO users who seek extreme mobility, high-speed wireless connection and better wireless coverage while maintaining high-speed broadband access with VDSL2. With an integrated 802.11n Wireless Access Point, the router enables faster wireless speeds of up to 300Mbps, the two built-in antennas effectively search for wireless signals and automatically adjust to the optimal connection after obstacles have been detected. The SOHO Firewall is integrated to provide protection against hacker attacks while the Quality of Service prioritize queues and traffic for application such as music downloads, online gaming, video streaming and file sharing. The Data Connect 5204V-NRD is a single VDSL2 port router equipped with four Ethernet ports by embedded 10/100Mbps Ethernet Switch. Compliant with ITU-T G.994.1 (handshake) and G.997.1 (Physical layer management for digital subscriber line) VDSL2 standard, the Data Connect 5204V-NRD/B interoperates with major chipsets, and supports Profile 30a with line rate up to 100Mbps/100Mbps for various bandwidth-consuming applications, like video streaming or Video on Demand. The Data Connect 5204V-NRD complies with the international standards and interoperates with other major/open chipsets. It supports different profiles (8a,8b, 8c, 8d, 12a, 12b, 17a, and 30a); different band plans (997, 998, and proprietary) and different annex types (Annex A, Annex B, and Annex C), by factory settings to fit into different requirements. With the built-in NAT default firewall, the advanced anti-hacker pattern-filtering protection features automatically detect and block Denial of Service (DoS) attacks. In additional, Packet Filtering provides high-level security for access control. Quality of Service Control prioritizes the traffic and allows users to enjoy smooth traffic while running applications such as P2P or multimedia through the Internet. The Web-based User Interface of the DCE 5204V-NRD makes it extremely easy for users to install and manage the network. The router supports both DHCP client and server, enabling system administrators to easily integrate this router into existing network environments, as well as manage IP assignment without having to recognize other stations. With an integrated 802.11n Wireless Access Point, the router delivers up to 6 times the speed and 3 times the wireless coverage of an 802.11b / g network device. It supports a data rates up to 300Mbps and is also compatible with 802.11b / g equipment. The Wireless Protected Access (WPA-PSK / WPA2- PSK) and wired Equivalent Privacy (WEP) features enhance the level of transmission security and access control over Wireless LAN. The router also supports the Wi-Fi Protected Setup (WPS) standard, allowing users to establish a secure wireless network by simply pushing a button. If the network requires wider coverage, the built-in Wireless Distribution System (WDS) repeater function allows users to expand the wireless network without the need for external wires or cables.